And in a last-ditch effort 1 tablespoon vegetable oil mixed with 1 tablespoon baking soda from One Good Thing’s site. What it did was loosen the grime enough to scrub it off with the Brillo pad. The Brillo pad with soap. It still took quite a bit of scrubbing. 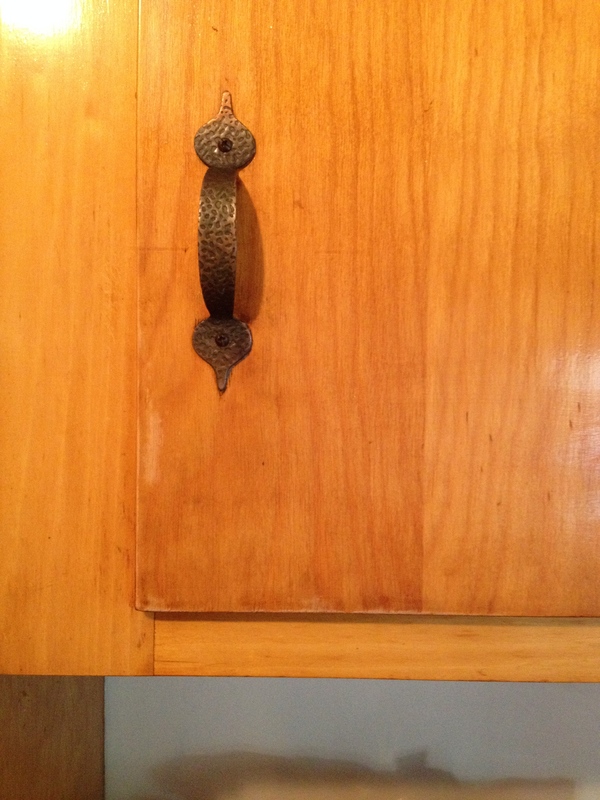 I decided to let a couple of cabinets sit overnight with the concoction. Hint: Do this in the morning light when you can see best. What have you used? What worked and what didn’t? 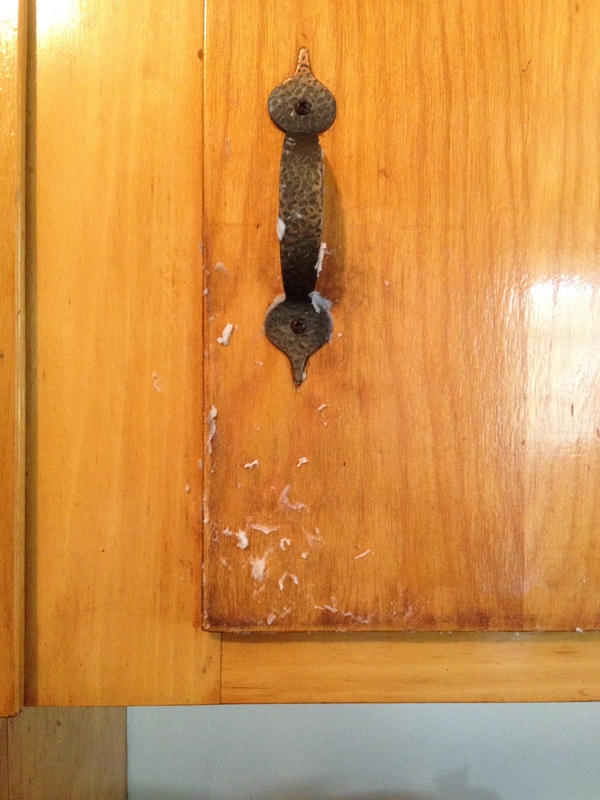 This entry was posted in Eco-friendly cleaning products and tagged gunk off cabinets, living green, military spouse, zero waste, zero waste lifestyle. Bookmark the permalink. 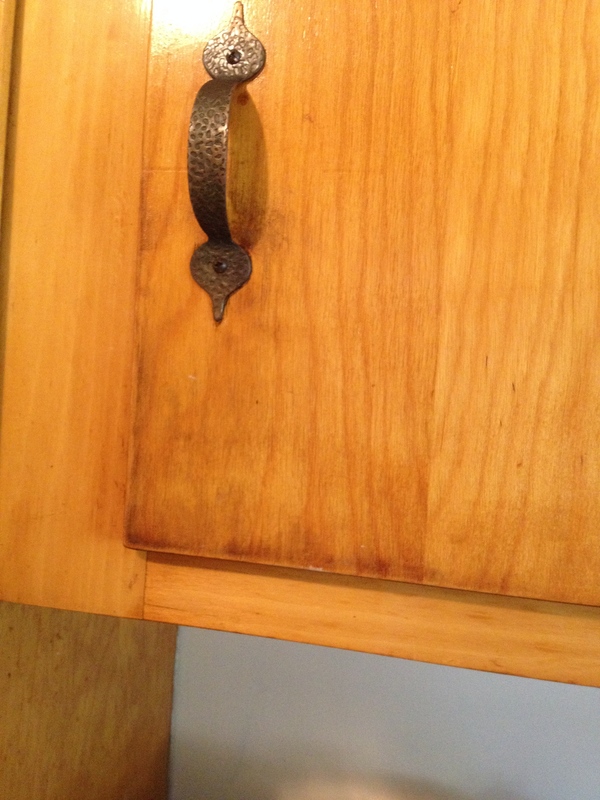 Oh my gosh, I had the same problem with my cabinets when I bought my house – the same handles, too! 1940’s…. Can’t remember WHAT I used, but I think it was Dawn, and those green scrubby pads. (I cut them in half so they last longer.) Even though they use it to clean off wildlife in oil spills, I’m sure it is not eco-friendly. That was a big improvement, though, on yours. I hate touching “gummy” things.